Appliance home based repair business for sale. This business has a huge cash flow. 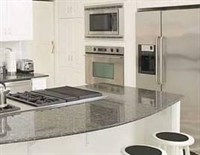 The company repairs appliances for major brand name companies as well as private clients. This company nets 50% of their gross. Well established for 30 years. This is a fantastic business for a handyman buyer or someone that is good with their hands. This is one of our most profitable home based businesses. This business is priced under a one time multiple. Seller will train the new buyer, with one worker staying on. Three trucks available if buyer assumes truck payments.